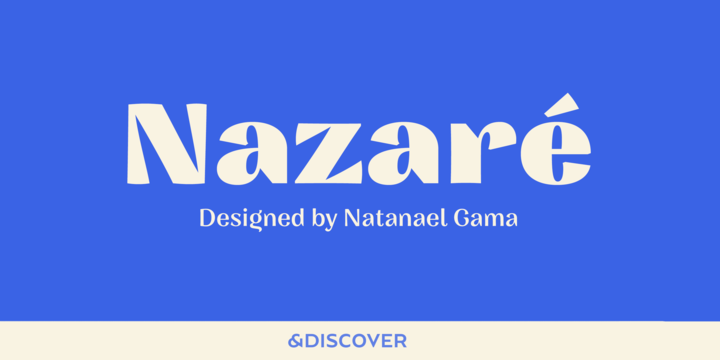 Nazare is a semi serif typeface created by Natanael Gama and published by Ndiscover which is available in 6 weights. Inspired by an old Portuguese soap packaging, it has large contrast and it can be use for poster, logo, book cover, headline, display etc. Have fun! Price: starting from $39 for one font to $119 for all 6 fonts. A font description published on Friday, March 30th, 2018 in Fonts, Natanael Gama, Ndiscovered by Alexandra that has 1,193 views.